Brandvoice Marketing Group » Lesley Saville launches new sponsorship consultancy at BrandVoice. Following a decade of unparalleled success as VP Global Partnerships at Anschutz Entertaiment Group (AEG) Lesley Saville has joined BrandVoice Marketing Group as partner to create and lead the new sponsorship consultancy arm of the business. Lesley is best know as the driving force behind the launch of The O2, formally the Millenium Dome. 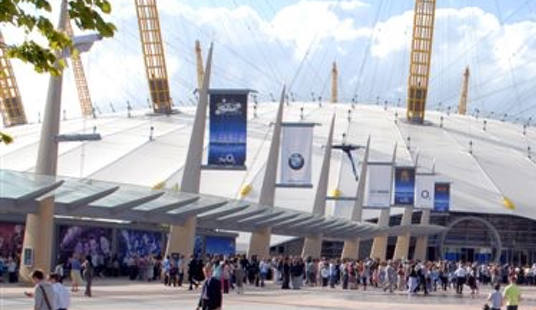 With naming partner O2 Telefonica, Lesley created the marketing strategy that turned The O2 into the most successful entertaiment venue in the world. During her time at AEG she has worked with some of the biggest global sponsorship brands including O2 Telefonica, Sky, Coca-Cola, Nissan and Barclays to name but a few. This experience has provided enormous insight into how to maximise sponsorships from both the perspective of rights holders and brand sponsors. Her role encompassed sales, activation of sponsorship for over 40 partners and account management of the VIP and suites programme across The O2, The SSE Arena Wembley and The SSE Hydro in Glasgow. Lesley believes that the key to successful partnerships lies in the ability to integrate sponsorship into marketing strategy, to clearly define and measure success and to ensure that the brand experience can be amplified and leveraged in both the physical and digital worlds to achieve amazing results. In her own words she believes that “the objective of the relationship between brand and asset owners is to achieve customer engagement which fulfils both parties strategic and financial needs”. Lesley says of her move into consultancy “I was attracted by the prospect of creating something new from the ground up and helping both sides of the sponsorship deal achieve their commercial objectives, creating true customer engagement and generating new revenue streams for both businesses”. The new consultancy business will offer strategy, creative consultancy and sponsorship activation.